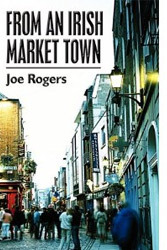 "From an Irish Market Town, although essentially an autobiography, is also a very human story that touches on people's lives for close on eighty years in an era that brought such advances in medicine, science and technology as to increase life expectancy by twenty to thirty years. The period that started out with the horse and buggy, steam engines and a very elementary motor car has witnessed the coming of jet planes, space travel, high-speed trains and luxury automobiles. Thanks to television and the mass media, especially paperback books, computers and the Internet, people have achieved more than sufficient knowledge to cope with the general ups and downs of everyday life. Available from all good bookstores in the UK, Eire and Worldwide including Amazon. The year 2012 was the centenary of the sinking of the Titanic. It was also the centenary of the Maryborough Flying Machine, first plane manufactured and flown in what became the Irish Republic. (The County Town of Maryborough was renamed Portlaoise when freedom of 26 of the 32 counties of Ireland was won from the British Empire). Read more at A Treasure Uncovered in East Sussex. Four children — 10 yr old Leyla, 9 yr old Horatio, 6 yr old Tundi and 5 yr old Sierra — in the company of the changeling, Dylis (A Fairy Princess) gain entry to Fairyland disguised as elves on a mission to warn Ree Cluselug, King of the Fairies, that his Kingdom is about to be attacked by an invading army of Elves disguised as a travelling troupe of circus performers. Unknown to the children, the changeling, Princess Dylis, is also on a secret mission to discover the whereabouts of 13 yr old Shauna, elder sister of the other four children, who, without their knowledge, has been kidnapped and the lookalike changeling left in her place. The Changeling by Joe Rogers is now available from all good bookstores. Published by: PublishAmerica, the ISBN number is 1413780326 . THE CHANGELING is available from all good bookstores and online where at www.amazon.com by putting The Changeling by Joe Rogers in the search panel, you will be offered the novel either as a paperback or as an Eco-friendly digital e-book. 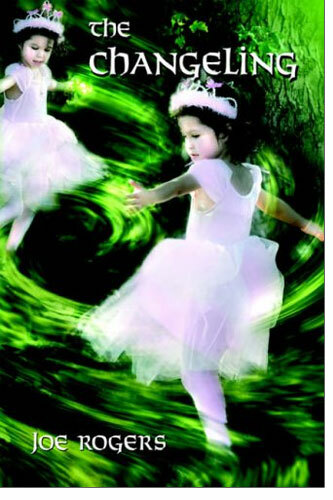 The Changeling,book one of a two-book series for children of all ages, tells of the magical adventures of Leyla, Horatio, Tundi, Sierra and Shauna, in the company of the changeling, Dylis. Written in English, the book is spiced with a little Gaeilge(Irish,)Turkish, Spanish and the Kalabari dialect of the Ijaw people of Nigeria, in the hope that its multicultural element will fill a vacuum in the children's book market and prove of interest to a wide readership. The Diary Of A Scullery Maid by Joe Rogers is now available from all good bookstores. Published by: PublishAmerica, the ISBN number is 1413736076. 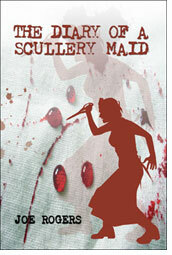 The Diary Of A Scullery Maid by Joe Rogers is also available from all major online bookstores. Please see the links on the left for buying details. Further extracts from "The Diary of a Scullery Maid" can be read on the Information Ireland website here, please scroll down the page. Thank you for visiting www.joerogers.co.uk - Come back again soon.